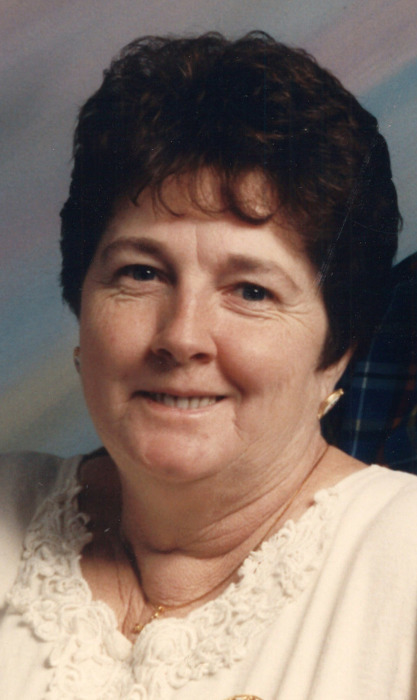 Verna Mae Wycoff, 70 of Terre Haute, passed away at 8:38 PM on Monday, April 8, 2019 in her residence surrounded by her family and loved ones. She was born in Terre Haute on December 26, 1948 to Ollie Wilkie and Mildred Long Wilkie. Verna is survived by her husband of 53 years, Donald Wycoff, Sr., as well as three sons; Donald Wycoff, Jr., Randy Wycoff (Tina), and Mike Wycoff. Also surviving are five siblings; Jim Wilkie, Mildred Johnson, Judy Catterson, Robert Wilkie, and Steve Wilkie, as well as a special niece, Terry Gonzalez, and a special nephew, David Wilkie (Margaret), as well as 10 grandchildren, 10 great grandchildren (with another on the way), and several other nieces and nephews. She was preceded in death by her daughter, Joyce Ann Wycoff on August 17, 2016, a brother, Albert Wilkie, and sister, Marilyn McFall as well as three grandchildren. Funeral services will be held at Fitzpatrick Funeral Home, 220 North 3rd St., West Terre Haute, IN on Friday, April 12, 2019 at 6:00 PM. Visitation is scheduled for Friday from 4:00 – 6:00 PM at the funeral home. In keeping with her wishes, cremation will follow services.